Budweiser today announced details of their latest marketing campaign, Budweiser Dream Job. The new project offers Irish fans the opportunity to kick-start their dream career. Basically, Budweiser are offering someone a prize fund valued at €50,000. The Dream Job prize fund is made up from a €40,000 cash prize, a €5,000 equipment bursary and practical mentoring sessions with experts in the winner’s area of interest. 4 runner-up finalists will each receive an equipment bursary of €2,000. To get involved, members of the public over 18 years can apply for their Dream Job on the Budweiser Ireland Facebook page by uploading a creative CV from today until 9th August. 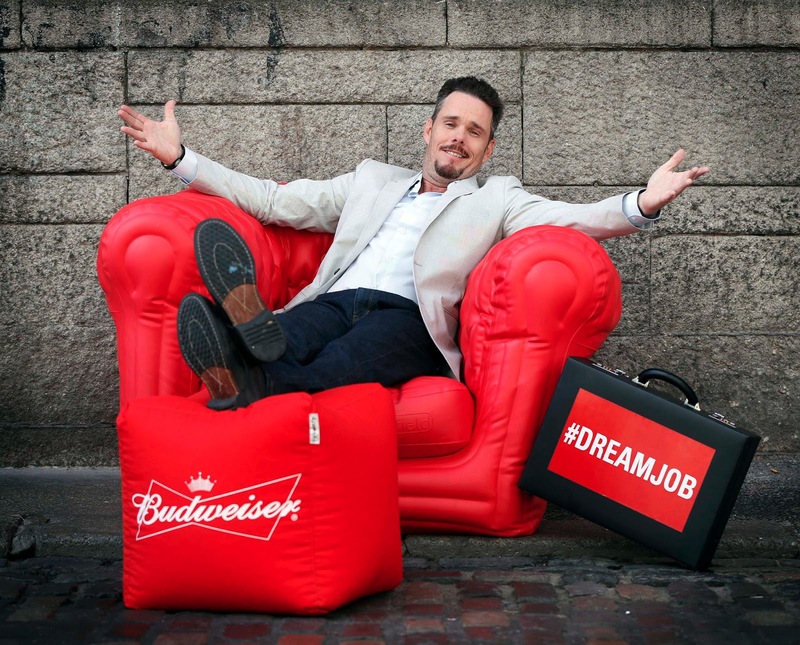 Budweiser Dream Job has some well-known judges from various backgrounds to help with the shortlisting of applicants, all of whom are inspiring figures who have been brave enough to follow their passions in life. Once the judges have narrowed it down to the best five applications, the public will decide on the overall winner that inspires them the most. The judges include Dave Harris, a well-known music mogul in Ireland, is Marketing Director at Universal Music Ireland. He recently joined Rihanna on her famous 777 tour and is coined as the man responsible for singer Imelda May’s rise to fame. He also selects the music for RTE’s The Voice of Ireland. Alongside Harris, Budweiser is excited to have successful fashion designer and business woman, Heidi Higgins. Heidi graduated from NCAD in 2008 and less than a year later she proudly introduced her own label to the Irish market. Heidi’s Spring/Summer 2013 Collection has taken to the rails of several exclusive boutiques across the country including leading department store, Brown Thomas. Two additional judges will be announced midway through the application period. The Budweiser Dream Job campaign is supported by ATL, Digital, and PR. The campaign will use the twitter hash tag #DreamJob.